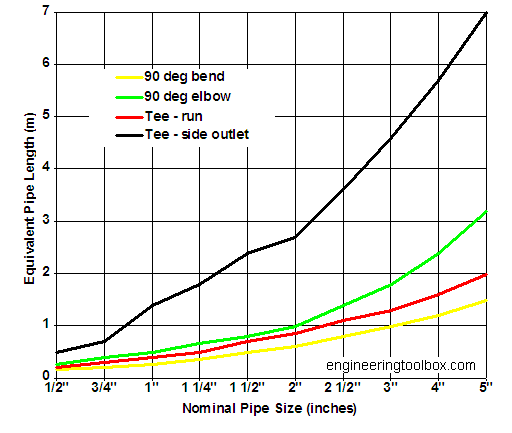 Pressure drop in compressed air pipe line fittings can be expressed as equivalent length in meters of pipe line. A 90o bend equals to a 0.6 m 50 mm pipe line. Engineering ToolBox, (2008). Compressed Air Pipes - Fittings and Pressure Drops. [online] Available at: https://www.engineeringtoolbox.com/compressed-air-pressure-drop-fittings-d_1279.html [Accessed Day Mo. Year].